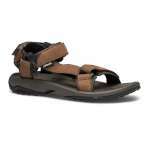 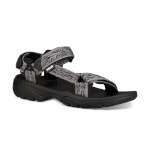 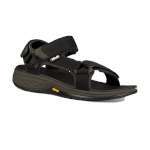 Teva sandals were first invented by Mark Thatcher, a rafting guide, in 1982. 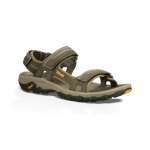 Thatcher designed his sandals for river sports as he found the alternatives unsuitable - trainers would become heavy when wet and dried slowly, and flip-flops would not stay on! 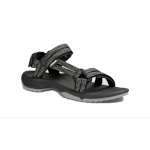 He patented his Teva sandal (named after the Hebrew for 'nature') with an ankle strap and they proved hugely popular as the first sports sandal. 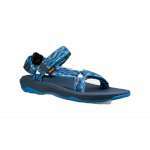 In 1985, Teva sandals were redesigned with a universal strapping system (rather than the strap between the toes), and this remains the base deign for all Teva sandals to date. 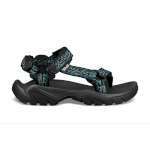 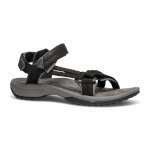 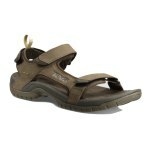 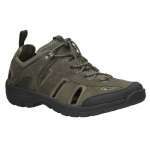 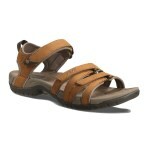 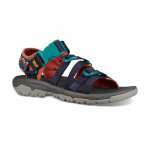 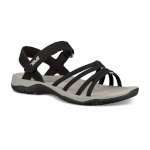 The range of men's, women's and kid's outdoor Teva sandals (and now shoes too!) 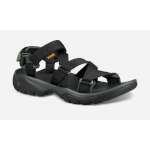 are trusted by outdoor enthusiasts all over the world as quality footwear for walking and outdoor pursuits... they're still great for rafting trips too!